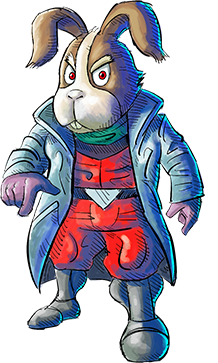 A capable leader who commands the unquestioning loyalty of the Star Fox team. An ace pilot who enjoys a friendly rivalry with Fox. A seasoned veteran whose cool head and wisdom holds the team together. A somewhat jittery type who is prone to errors, but it's hard to dislike him. An advocate of the old maxim, "The best defence is a good offence". The daughter of an aristocratic family, she has relinquished high society and taken up arms to defend her home planet. Not much is known about the shadowy squad of unscrupulous mercenaries known as Star Wolf. Bankrolled by Andross, this four-person team are wanted and feared throughout the galaxy, and will stop at nothing to achieve their goals. This despicable criminal will betray anyone for the right price. An inscrutable and sinister alien. Arrogant and cruel, and possessed of a fiendish strength. 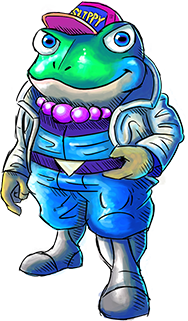 Rumoured to be the most devious creature in the cosmos, he exploits the weaknesses of his targets with merciless precision. The artwork is brand new! 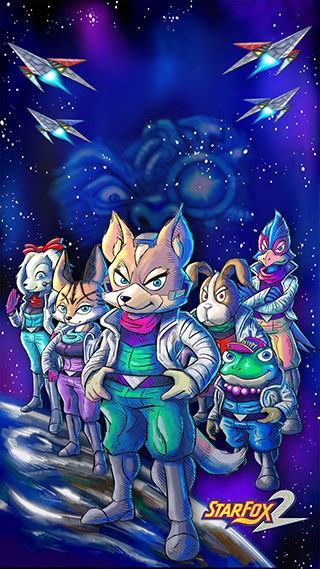 This game was developed as a sequel to the original Star Fox game, and though completed, it was never released. Because of this, it never had a manual or packaging. To mark the release of the game on the Nintendo Classic Mini: Super Nintendo Entertainment System, a member of the original development team - the designer from the first game on - was brought back in to do the illustrations. 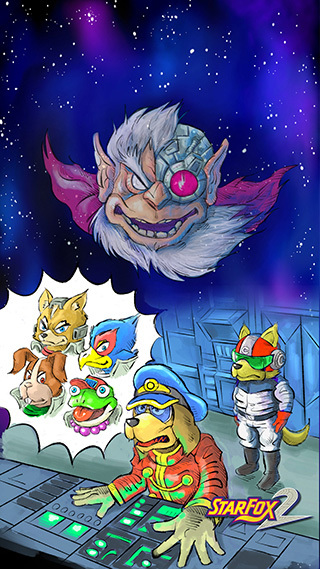 The artwork of the first Star Fox game was done using photographs of puppets, but for the revival of this long-lost second game, a very different style was chosen! You can download artwork of the Star Fox team (including new members Miyu and Fay) to use on your smart device. How about using it for your standby screen?